Devoted is a 5-week study based on Ezra 7:10, "Ezra devoted himself to the study and observance of the Law of the Lord and to teaching its decrees and laws in Israel." Through Ezra's example, you will grow in your love of God's Word and learn how to apply its truths and power in your everyday life. The faith of Ezra changed the course of history. Will your faith do the same? Simply Mark, Simply Jesus, dives deep into the waters of Mark to rediscover the simple, beautiful, and life changing truths about the Person of Jesus Christ. 4 weeks homework - available soon! Have you ever wondered what it would be like if Jesus visited your church? What would He see? What would He experience? What would He say? Discover what Jesus said to the seven ancient churches and what He says to our church today. It's no secret, we all know it. The world around us has gone completely crazy. But just because the world is going crazy doesn't mean we have to go with it. As followers of Christ, we are surrounded by the darkness of the world. How can we think differently about our culture? How can we be women who stand out in a world far from God? In this study on Psalm 37, we will discover how to shift our focus from the temporal to the eternal and learn how to be women who stand out as beacons of hope in a dark world. What does radical faith look like? Do you believe God wants to do the impossible in and through you? He does. What would life look like if the flames of your faith were fanned into a radical inferno, to the point where it would be described as straight-up crazy? You weren’t meant to have a boring faith - You were meant to have straight-up crazy faith! Each chapter contains a "Coffee Chat" section which includes discussion questions designed for individual or small group use. 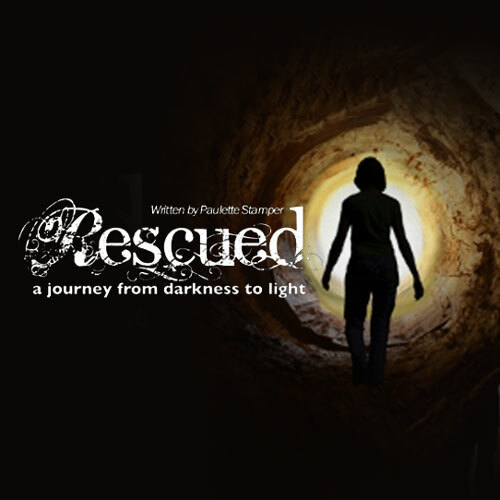 Rescued, A Journey from Darkness to Light is a unique 6-week bible study based on the Apostle Paul’s letter to the Colossians. In it, you will discover exciting and life-changing truths about who God is and who He says you are. You will “meet” several women who openly share their own journey of God’s intimate work in their lives. Isn’t it time for you to begin your journey from darkness to light? In The Point of the Summit, we visit the mountaintop experiences of Moses, Elijah and Abraham and discover how they are much like our own. Timothy lived during a time of increased opposition to the gospel message,surrounded by scoffers and doubters. While Timothy may not have been tempted to blend in with the culture, he may have struggled with taking a bold stand for his faith in Jesus Christ. Can you relate? Fanning the Flame will encourage and empower you to become bold in your faith. LGBTQ: WHAT DOES THE BIBLE REALLY SAY?